Times are tough. Don’t waste your paycheck on a car. Check out these fun alternatives. You don’t need a big motorcycle to bring along your friends. The habal habal is common in the Philippines. It’s a DIY upgrade where six seats can be added to a bike that may only have a 250cc engine. Horses aren’t cheap when you factor in all the vet bills and upkeep, but they are worth considering for your commute to school or work. It’s hard to go greener than a grass-burner. Horses require a lot of space, but dogs are a great fit for urban environments. Dog sled teams often train with wheeled vehicles in the offseason. Hitch up a team to travel on paw power. For a comfortable ride on four wheels, golf cars can take you anywhere in the local neighborhood. If you don’t have a long commute, you can even go electric. Biking is an easy alternative, but not many people are excited about cardio exercise before and after work. Electric bikes are no sweat because of the decreased pedaling. Not kidding. Commuter/touring is a real category of unicycles. Lighter and more compact than two wheels, a unicycle can often be carried straight into the office or classroom. If you’re extra ambitious and coordinated, look into off-road and giraffe unicycles for an added challenge. For those who are driven by childhood nostalgia, big wheel trikes are available for adults. The drift bike version is also popular online, but it’s mainly intended for downhill fun. A classic trike is a lot of fun, but the water tricycle allows you to cross bodies of water. Depending on the model you choose, many can handle short trips over land as well. 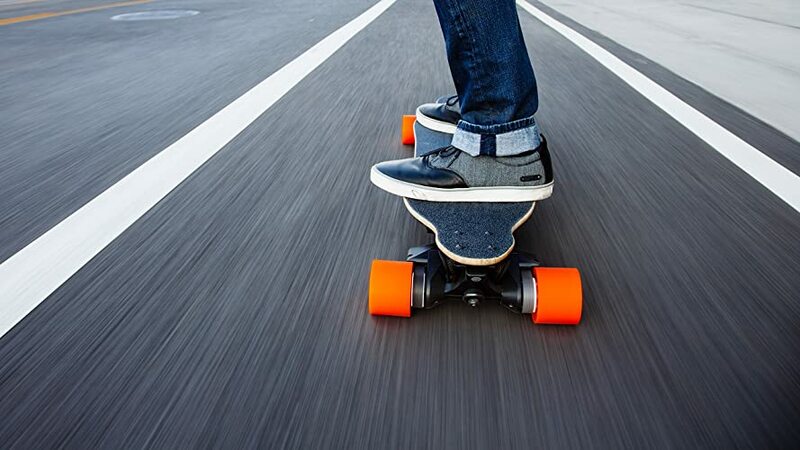 Skateboards are great for city sidewalks, and electric motors have made it more feasible to board to the next board meeting. A lot of different styles are out there, so shop around!